Not everybody is a fan of Apple. Nor was everybody a fan of Steve Jobs, one of the two Steves who founded the company, and the one who turned it from an also-ran into the cash-gobbling behemoth that it is today. However, even those who dislike Apple and who disliked Jobs felt his passing, and also miss his style of delivery whenever he made a speech. The speeches below are arguably the greatest ever made by Steve Jobs. They’re a mixture of those made to organizations and universities – in which he tries to inspire youngsters setting off into the world – and Apple keynotes and product launches – which may not contain particularly great individual lines but proved important in the life of Jobs, of Apple, and of the technology industry. The Academy Of Achievement is a non-profit organization which recognizes outstanding achievement and tries to pair those people responsible for it with promising youngsters. In 1982 Steve Jobs received the ‘Golden Plate’ award at the tender age of 26, though by this time he had already founded Apple alongside Steve Wozniak. This is an audio recording of the speech he gave to those in attendance, and it’s noteworthy because the advice Jobs dishes out probably wasn’t what most present were expecting. That isn’t a bad thing, and in hindsight a lot of what the young Jobs preached at this stage of his life was (and still is) well worth listening to. In 1985 Steve Jobs resigned from Apple after the board of directors sided with CEO John Sculley in a battle of wills between the two men. Jobs went away and both founded NeXT and bought Pixar, but his heart still belonged to the company he founded. In 1996, Apple bought NeXT, and Jobs made his return to Apple. This is a video of his keynote at Macworld Boston in 1997, made after Jobs was named interim CEO and charged with turning around the fortunes of the failing company. This speech can be seen as the start of a new era for Apple, and in the 15 years that have followed it has surpassed the competition. Including Microsoft, which makes a cameo in this video in the form of one Bill Gates. In 2001 Apple introduced the iPod to the market. It wasn’t the first personal media player, and it could be argued it also wasn’t the best, but it captured the hearts and minds of consumers like no other had, and begun Apple’s transformation into the company it is today. It was also the first piece of Apple hardware to be given the ‘i’ moniker. This is a video of Steve Jobs unveiling the iPod to a room full of assembled guests. This product launch was timid compared to what was to follow over the next decade, with the amount of interest increasing exponentially from this point forth. But all the hallmarks of an Apple launch are here to see, including Jobs’ trademark showmanship. Stanford University holds a commencement event each and every year, and yet there is really only one that has stood out for more than those lucky enough to be in attendance. That was in 2005 when Steve Jobs took to the stage to deliver a commencement speech that has inspired more than just the students present on the day. The speech was delivered a year or so after Jobs was first diagnosed with pancreatic cancer, but though he looks a little older than he had previously, he doesn’t look ill or emaciated as he did in the years afterwards. Jobs discusses family, college, Apple, love, life, and death. His words of wisdom on the latter meant this speech became more powerful after he passed away in 2011. In 2007 Apple introduced the iPhone to the market. If the iPod represented Apple’s return to greatness, the iPhone cemented the company’s position. 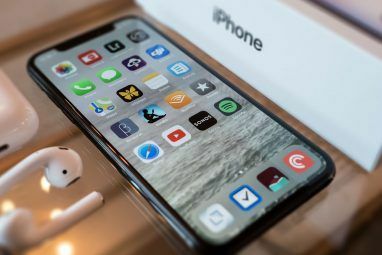 The iPhone was originally to be a tablet (later to be revisited as the iPad) and changed not only the course of the company but also the course of mobile phones. Smartphones had arrived. This is a video of the full, unedited keynote for the original iPhone, and it’s regarded with reverence by Apple fans. Although Jobs had already suffered severe health problems by this stage he was at the height of his powers, delivering a product launch that is fascinating to watch even years after the product itself has been superseded. The last speech featured isn’t actually from Steve Jobs himself, but about Steve Jobs, and delivered by Jonathan Ive. Ive is the design guru whose eye for detail has shaped all those Apple products you own and no doubt love. He was also close friends with Jobs, and this is his tribute to Jobs made during the ‘Celebrating Steve’ Apple event held after the company founder’s death. 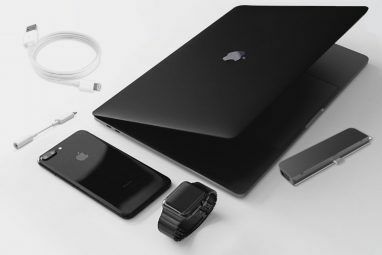 I am far from an Apple fanboy 8 Essential Twitter Accounts for Apple Fanboys 8 Essential Twitter Accounts for Apple Fanboys I’m not an Apple fanboy myself but I do know a few. They don’t deserve the treatment they receive, and have done throughout history. They’re still human, and still people who need love and attention... Read More , and I was somewhat cynical (and often downright critical) of Steve Jobs while he was alive. But his passing had an impact on me as a lover of technology, and I have since read the Walter Isaacson biography of Jobs in order to more fully understand the man he was. Whatever you may think of him he should be remembered as an innovator and visionary who changed the world. These speeches have solidified the view of him I already held. He was an orator with an extraordinary power to inspire, to move, and to excite that few others have matched. This helped him sell products to the masses, and helped to cement his legend for generations to come. As always let us know your thoughts on the subject at hand in the comments section below. Fact : Ive mentioned that Jobs took credit for many of his designs after his death. The "zen" and simplistic design for some of Apple's products for which Steve claimed that he got inspiration from his trips to India and learning about Buddhism were Ive's own creations. Unfortunately, I am not able to get you the link of the infographic I saw this in. If only my boss wouldn't be pissed of because I'm watching this at work - this will be my homework. seems to be very inspirational ..!! I'm the same as you, not a fan of Apple. Honestly, Dave, I'd say you're a major critic - as am I. I forget though, that as much as I hate the iPhone, the iPad, their ecosystem and everything about Macs - I love my iPod. The interface of the old nano's was just remarkable. I unfortunately lost my 4th gen, and had ot buy a 2nd gen. I miss having the album artwork on display, but I got that traded for double the space. I guess I've been harsh in the past - but Jobs is worthy of respect, even if you don't like him. You're right. At the very least, you can learn something by watching how he do presentations. He has way with words along with that brain. I am definitely critical of Apple, especially their attitude to pricing and their reliance on a closed system. Jobs is another thing altogether though. At times I found him incredibly annoying but there is no doubt he left his mark on the world and its inhabitants. Oh man, that's a good point. I well remember the first iPod being released, and that was over a decade ago. The iPod was not the first Apple product to get the "i" naming. The iMac was. Argh, you're right. My bad. I was caught out by the fact it's now just the Mac.